I bought Snapper RE200 RE1330 two and a half years ago when our family shifted from a flat in an apartment to our own independent house. Earlier I had never used any lawn mower but my Snapper being very easy to use was a great help. 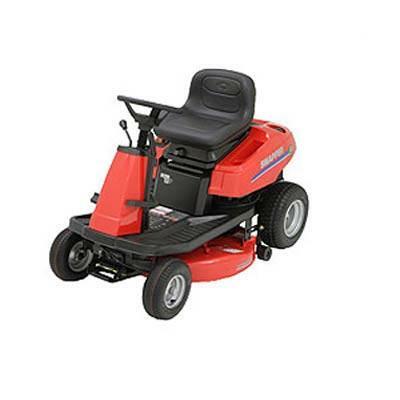 It is a high end riding mower with a 30-inch cutting deck and 12-inch turning radius. It has got a 13 horse power engine which provides equal speed whether going forward or backward and with a weight of 415 lbs. It has got a lot of features some of them like it has got a tight turning radius of 12-inch, it has got an auto leveler system which keeps the machine level to the ground over uneven terrain for a clean cut, even when the user makes tight turns. As was talking about the engine it is 13-hp Briggs & Stratton Intek engine which gives a relatively low speed of 5 mph but its good for medium-sized yard. Other thing about this mower is that it has got a 2-gallon gas tank which is ok for medium-sized yard but you may need to fill it more then once if using it on a large-sized yard and as the deck size is small you may require more time to mow a lawn then usual. Other then that the blade can be raised or lowered for a 1- to 3.75-inch cut. One more thing which I have noticed in some other riding mowers carboraters tend to overflow the oil with gasoline which is not a problem with snapper RE200 RE1330. All in all this lawn mower is a great value to your money with a great performance and can be used in medium-sized yards with varying terrain. One thing more it requires very less maintenance. I have been using it for past two and a half years and have to admit that I had not made a wrong choice in selecting my lawn mower. With its many useful features, I would rate the Snapper RE200 RE1330 riding lawn mower the best machine I have used in this class. It comes with a thirty-inch cutting deck with a twelve-inch turning radius. The blade can be adjusted for a 1- 4-inch cut. The clippings are dispensed on the right side and are evenly distributed without clumping. However, when cutting wet or very tall grass the blade chokes a bit clogging the side discharge. This can be overcome by mowing your lawn more often. The machine weighs about 415 pounds so transporting it may be a problem. The Snapper RE200 RE1330 riding lawn mower has a snapper auto-leveler system that helps retain a clean cut on uneven ground, and when taking tight corners. This can be very helpful when mowing around obstacles such as trees or garden benches. It operates with a 13-hp Briggs & Stratton engine mounted at the back and fed by an average 2-gallon tank, which runs it at a moderate low speed, 5 mph top speed. This can be quite slow if you are working on a big area. The Snapper RE200 RE1330 riding lawn mower uses hydrostatic transmission and a hand lever that allows equal speed when moving forward or in reverse. It has a sturdy steel framework and an adjustable seat with a high back for maximum comfort. The main advantages of the Snapper RE200 RE1330 riding lawn mower is the excellent traction, auto-leveler and the ability to cut tight corners. However, it is quite expensive and the small fuel tank may need to be refilled quite often when mowing large areas.